Spring Sports registration deadline is Thursday, Feb 20. We only have 5 registered for JV Baseball, 8 for Varsity Baseball, and 7 for Softball. We need to tell the region if we are going to be able to field a team - if you have procrastinated, please get your child registered ASAP! Otherwise, we will have to drop the sport this year. Holy Family School is having a free Mommy & Me Class on Thursday 3/6 from Noon to 1:30 in Griffin Hall. Click on the title above for more information! The FIRST Annual Holy Family CYO Girls Panther Pride Tournament starts Thursday, Feb 20 at Griffin Hall, with games at 6:30 (Sacred Heart vs St. Basil) and 7:45 PM (St. Mary vs St. Al). On Friday, Feb 21, and the Holy Family Girls team plays their first game on 7:45 PM. Come out and cheer on the girls - great basketball and fun things at half time. A full schedule and bracket can be found at www.hfscyo.com. The March Lunch Menu is now available. If you had purchased lunch on any of the snow days please take a credit in the month of March. Please return the lunch menu to the office no later than Friday, February 21st. Thank You! Unfortunately due to the impact of this week's storm, the Third Grade Game Night scheduled for tomorrow night, February 7, will be postponed. Many of us are still without power and/or involved in storm clean up! Once life returns to "normal", we will make a decision regarding the new date. Thank you for your understanding. 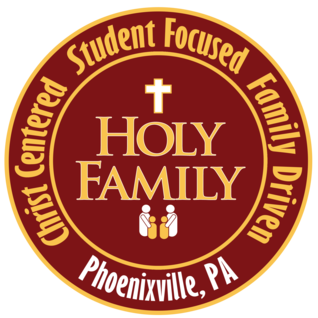 If you captured video of any 2nd, 3rd or 4th grader in the talent show - please email Mrs. Cunningham at dcunningham@myholyfamilyschool.org. The school's video only recorded some of the acts in those grades. We would like to have a complete video to post to the website. Thank you for your help!